Cost per click advertising is also popularly known as (CPC) or as others refer to it as Pay per click (PPC) is one of the most popular ways online businesses and digital marketers use for calculating the cost of clicks acquired through PPC advertising.It sounds very easy looking at the above description, however, there is more to it than just a form of advertising. In recent years, Pay per click advertising to become more complex and competitive which means, online marketers need to optimise their game to rank their Ads. It takes a combination of various inputs and factors to actually profit from Pay per click advertising while dramatically lowering the cost per click on campaigns. Several digital marketers struggle to get their CPC to earn high ROI on their campaigns. The solutions to this are understanding how the cost per click works. 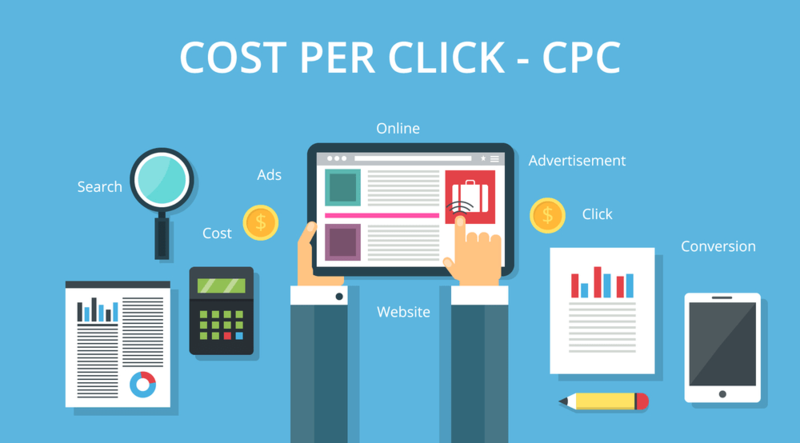 In this blog post, we are going to explain Cost Per Click advertising thoroughly including all the strategies you need to implement and manage a successful CPC or PPC campaign. What is Cost Per Click Advertising? Cost per click (CPC) also known as Pay per click (PPC). In a layman’s language, simply means the actual amount of money you pay per click when running an advertising campaign. What is Cost Per click? : The actual amount of money you pay per click when running an advertising campaign. The actual cost of every click is what it refers to as CPC. Some digital marketing experts actually refer to cost per click as the cost assigned to each keyword by search engines such as Google. The truth is, If that’s true, no one will be able to pay for Google PPC campaigns. Even though there are more important factors to pay attention to when running a Cost per click campaign, however, it is still very important to understand how cost per click works especially in Google Ads. How does Cost Per Click works? 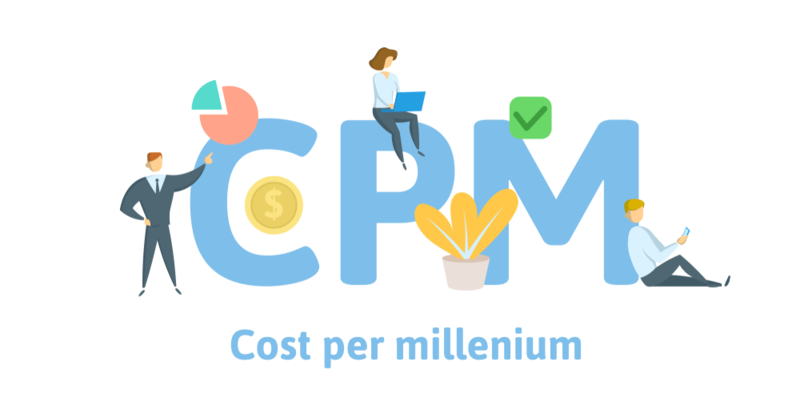 Cost per click is just one among many other metrics CPC platforms such as Facebook, Google Ads and Bing use to evaluate PPC campaign performance. The most popular CPC advertising platform is Google Ads also known as Google Adwords which this article is mostly centred at. This is because has created a reputable system that delivers what the customer want’s to see. Google has developed into a monstrous Advertising platform because it shows most updated, relevant search results to people all over the world. It is estimated that Google process about 3.5 billion search queries every day. In my opinion, As of today, Google process over 5 billion search queries every day. Each of these 5 billion queries returns results based on the most relevant keywords. This is how auction Ads are also determined to display alongside those search results. Most ad networks display the average cost per click on various keywords. This does not reflect the actual CPC your Ads will be paying for but rather to show you an average cost per click of those keywords. In particular, Google Ads calculate your CPC by using two variables or factors if you like which are usually your closest competitor AdRank and Your Quality Score. The formula for this is… Competitors AdRank is divided by your quality score plus .01 which gives you the actual CPC rate. See image below. As an advertiser, creating quality Ads should be one of your top priorities. This is because it helps you outrank even your competitors who have higher bids. Google Ads consider several factors for ranking Ads which are Max bid, Competitor Ad Rank and your quality score all play significant roles in determining your CPC rates. 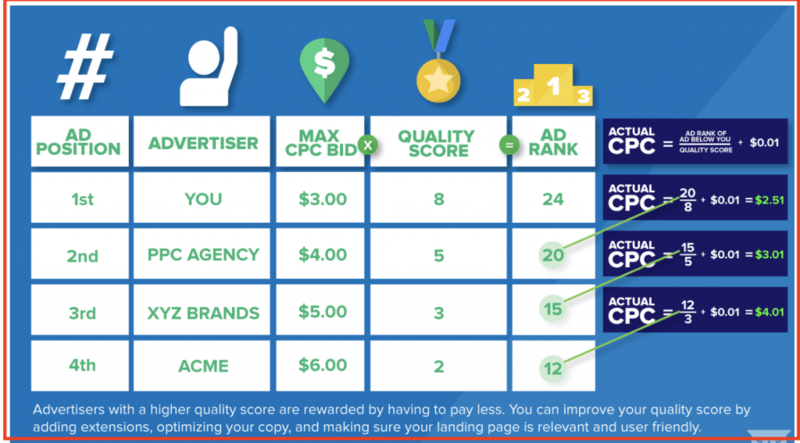 After having an understanding of how CPC Ad work plus how CPC auction is calculated, Let’s see how you get cheaper CPC rates while maintaining a high-quality score. It is extremely important for advertisers to maintain a high-quality score as it comes with several benefits. There are a couple of things which I will describe as a process since it’s not a one-time thing. Cost Per Click Ads requires constant optimisation. This is what this section is all about. Please follow the stages as explained below in order to get a high-quality score and maintain it. Keywords are really important factors when it comes to ranking in search engines. The same way you use keywords in your content to tell search engines what your content is actually about, the same process is replicated to Google Ads. When creating Ads, Using your most relevant keywords in your Ads headlines and in the description tell Google exactly the types of audience you wish to target. This helps improve the quality score of your Ads overtime as you maintain high Click through rate (CTR). Also, as some experts suggest, do some research on your competitor’s Ads and see the keywords they are using in order to have an idea of the kind of keywords they are using and use those as well. Doing so will give you a competitive advantage over many of your other competitors. Consistency matters a lot when it comes to online advertising. The final destination URL placed in your Ads should have reliable, easy to understand and action buttons well placed. The message on the ads should be consistent with what the Ads portray on your landing page or website. The advantage of this is that it leads your visitors to stay more on the page and take necessary actions such as signing up or making purchases. The more time your visitors stay on your landing page, the better relevance and quality score your Ads will gain. So in summary, make sure your PPC advertising message align with what you have on your landing page. 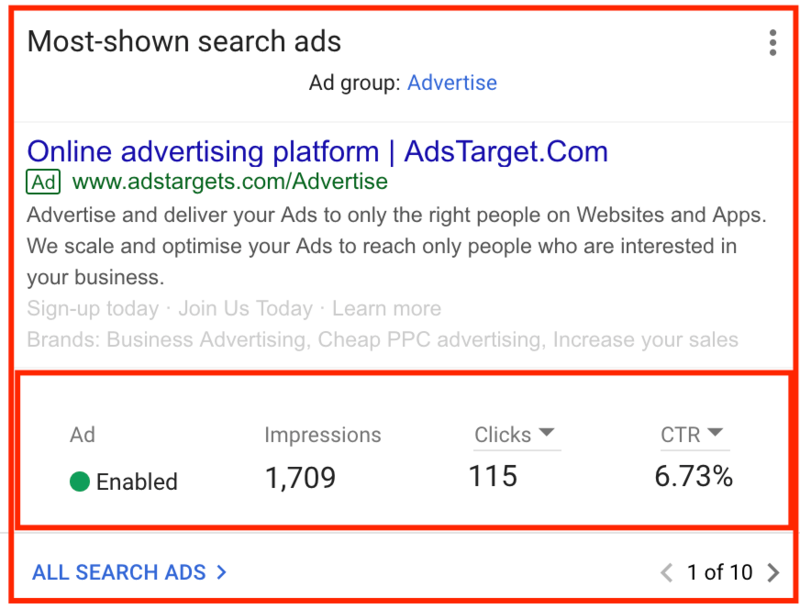 In 2018, Google added great features that allow advertisers to group Ads based on keyword making targeting more precise. 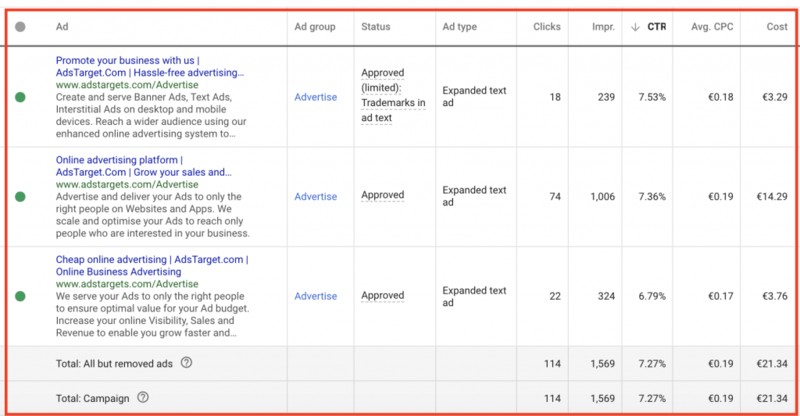 This feature helps advertisers have a better understanding of which Ad groups based on those keywords that are performing well and the Ad groups that are not. 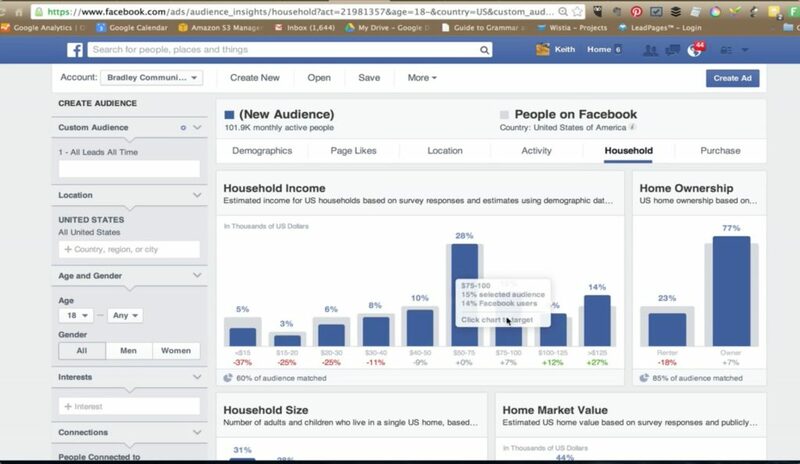 The data derived from each of the Ad groups makes it easier for advertisers to make decisions optimising their Ads. It presents you the information required to pause or stop some Ads and spend more on the Ads that are performing better. Negative keywords are extremely important for saving your Ad budget and optimising your Ad quality score which will lead to a better average cost per click. Using negative keywords tells Google Ads platform to avoid showing your Ads when queries that contain those negative keywords are entered into the Google search bar. 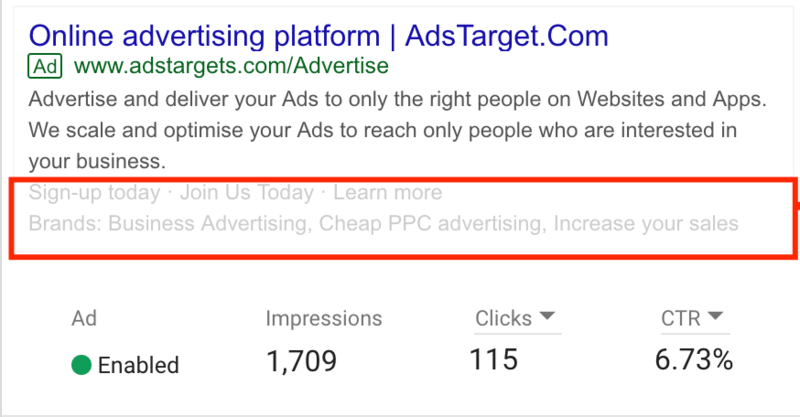 The impact of this is powerful help get your Ads shown only when the right keywords matching your Ads are entered. This makes you get more engagement based on CTR as they appear only on the specified keywords raising your overall quality score. Google Ad extensions are designed to make your Ads more relevant and engaging. It simply gives visitors more reasons to click on your Ads while positively impacting your Ad Rank. There are a lot of Ad extensions we can create manually such as site-links, Locations, Call-Out, Calls, messages, Sign-ups, App, Review, price, structures snippets, affiliate locations etc. Google Ad extension has potentials to increase conversions and sales in many cases. In the end, they impact your overall Ad quality score. Conversion tracker is another great decision-making tool advertisers need to take advantage of it. Conversion tracker can be easily installed through your Google Tag manager or direct installation of the code on your website or specific landing pages. The least it does is to collect data about the actions of your visitors such as Sign-ups / registration, Purchases, calls etc. This data is then used by Google Ad to determine which people are more likely to take those actions you need. Conversion tracking helps increase your Ads quality score as it contributes to more precise targeting and ultimately higher CTR, lower Avg. CPC. Cost per click ad networks are Ad networks that use Cost per click also known as CPC. We discussed a lot about CPC Ad networks but need to also discuss Ad Networks that use CPC as a pricing model. The most popular CPC Ad network as we discussed extensively in this blog post is the Google Ads. They simply have the largest share of CPC advertising online today. This is simply why this post is mostly focused on discussing Google CPC advertising. 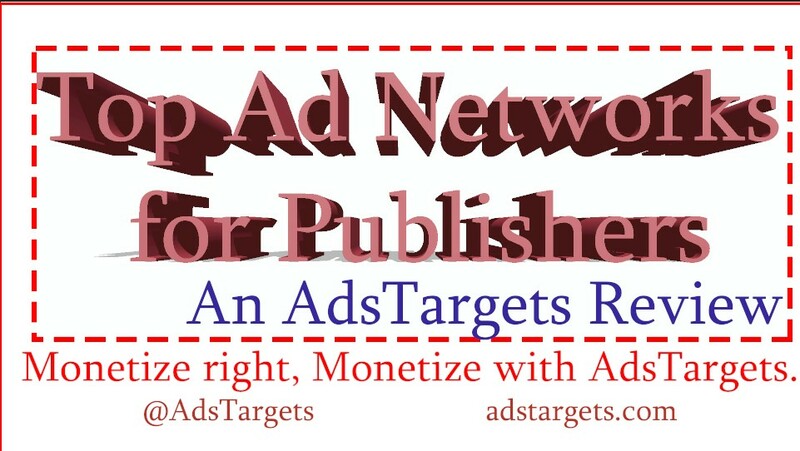 Our Ad network AdsTargets a similar Ad network features like Google Ads. Although our bidding system works a bit different from Google’s bidding system. We have a similar CPC system. 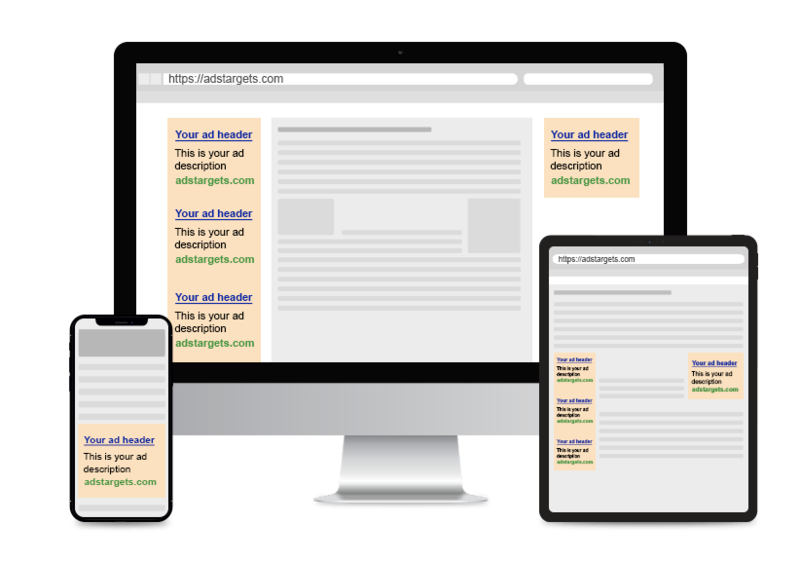 Advertising on Google Ads or AdsTargets Ad network for advertisers and publishers will give you almost the same results. AdsTargets competing advantage here is the cheap cost of advertising and automatic Ad optimisations features. you can become part of us by joining AdsTargets advertising Ad network. Cost per click advertising will continue to evolve while positively and negatively affecting online advertisers. For those who are able to adapt will reap the benefits of CPC advertising while the ones that ignore it will face the consequences. This post will be updated from time to time and we would like to know from you what you think about the post and suggest ways to make it better. Pay per click advertising has been around over the last two decades and have seen a lot of transformation. PPC has evolved a lot basically the way PPC giants such as Google, Yahoo, Bing and Amazon has adjusted their PPC advertising tools constantly to ensure enhanced performances. It is always important for online advertisers to follow-up and be updated as much as possible in order to be able to run more effective PPC campaigns. In this post, I will guide you through the process of formulating and running successful PPC or CPC campaigns. First things first. Let’s understand what is pay per click advertising. Pay Per Click (PPC) advertising is also known as Cost per click (CPC) advertising it is an online advertising model used by both the advertisers and the publisher as a pricing model to sell or buy traffic. The advertiser is required to pay for the traffic sent by the publisher which in most cases the publisher is a website owner or a group of websites inclusive of blogs. Advertisers often buy specific targeted traffic that is relevant to their niche or market type. Pay per click advertising usually send traffic through banner ads, Text ads, Interstitial Ads, In-App ads across mobile and desktop devices. Other forms of utilising PPC Advertising is through Pop-Up Ads, contextual ads, links etc. Pay per click advertising or cost per click advertising is largely controlled by search engine giants such as Google (Google Ads), Bing and Yahoo Bing and Yahoo Ads). These search engines display these ads on their various platforms. The image below shows how Pay per click Ads appear in Google results. Google rebrands her online advertising from “Google AdWords” to “Google Ads”. This change was accompanied by a lot of features within the systene much as creating various types of campaigns, enhancements, and targeting options making creating and targeting campaigns more effective. Bing also followed the same way in their PPC advertising system making it more convenient to create and manage campaigns with the more efficient reporting system. LinkedIn on the other hand also implemented profile targeting system in 2018 while Amazon has received more PPC Ad budget as advertisers noticed more products search taking place on Amazon. PPC advertising or cost per click advertising works by using highly technical IT systems designed by various Ad Networks. Although each of these systems works differently, they all have one thing in common which is generating clicks for the advertiser. Cost per click advertising works on two popular models which is known as the Bid-based CPC and Flat-rate CPC. In each of the models, the advertiser’s sign’s up with the Ad publishers which in most cases is an advertising ad network. The registration also includes an agreement which allows each advertiser to indicate or choose how much money they are willing to pay per certain keyword or keyword phrases. The Ad network system then automatically ranks advertisers bids and show them when a quarry is entered in the search engines. For search engines such as Google, Bing and Yahoo. These Ad giants use a bidding system that allows advertisers to bid for keywords that are related to their niche or market. The bid system works in favour of the advertiser that pays higher for a certain keyword or keyword phrases. These Ads are displayed on top or below search results. On the other hand, websites owners or bloggers charge advertisers a fixed amount to place banner ads, interstitial ads or Text Ads within a given time frame. Ad operate in a similar way such as search engine while also they have the capability to charge a fixed amount per click as well. In every project, there are set of activities which involves proper planning and management for those budget to be successful. This same ideology is applied for PPC campaigns in other to reap the full benefits of PPC advertising. This checklist entails how the cost per click campaigns should be planned and managed Daily, weekly, Bi-Weekly, Monthly and Quarterly. Budget your estimated campaign spend and approximate cost per click you expect to spend on your campaign. Daily monitoring and optimization is done by checking the daily spent and the conversions. Landing pages: refine copy, improve conversions rates. Day parting: Day of the week and time of the day analysis. How to Calculate Pay per click advertising? 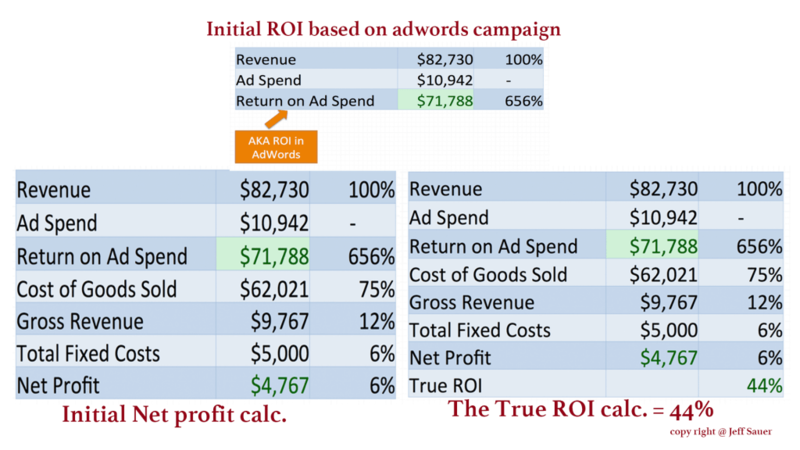 To understand how PPC or cost per click advertising is calculated is very simple. This is done by dividing the cost of advertising by the number of clicks from a particular campaign. The formula is as follows: pay per click ($) = Advertising cost ($) / number of clicks (#). 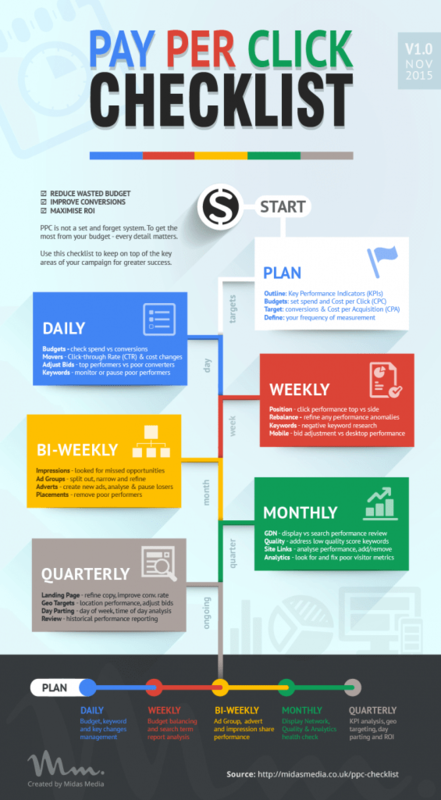 Doing so will give you an insight on how much your PPC advertising campaign actually cost. PPC advertising cost Or CPC advertising cost is simply the specified cost of running a PPC or CPC campaign in a given period of time. 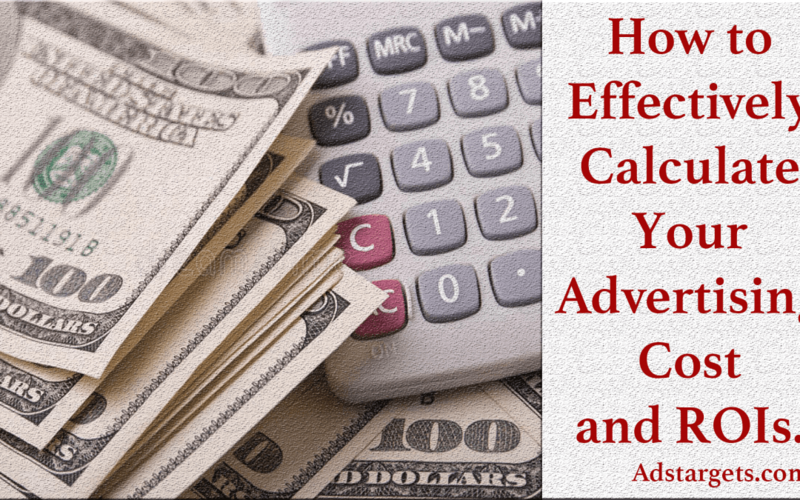 These advertising cost can vary besed on when the advertisier decides to analyse their cost of advertising compared to the performance of the Ad campaign. 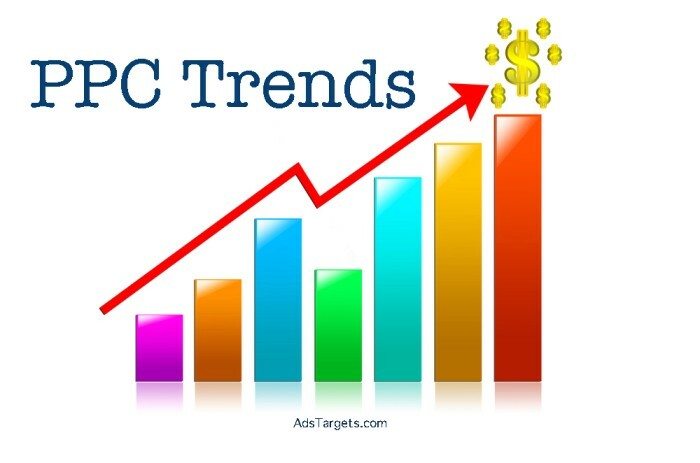 There are various forms of PPC advertising also known as CPC advertising. They come in various forms of online advertising and the most popular ones are Banner advertising also known as Banner Ads, Text advertising or Text Ads, Interstitial Advertising or full-screen Ads, mobile and in-app advertising. PPC Banner advertising is a form online advertising that allows advertisers to design banners with promotional information and display them on publishers channels. Banner advertising is arguably one of the oldest forms of online advertising. It is still one of the most popular among online marketers. The reason for this is simply because they are more attractive and eye-catching for visitors. The most popular banner sizes are the 728×90, 300×250, 160×600 and 468×60 while there are many other banner sizes. These banner sizes are also known to be most converting ads. Interstitial PPC advertising also known as full-screen advertising is mostly used on mobile devices to get the full attention of the visitors. They appear on full screen or mostly covers 70% of the screen with the possibility of closing them down or it automatically disappear after few seconds. Interstitial Ads comes in various sizes. The most popular once are 320×480 and 480×320 for mobile phones while 1024×768 and 768×1024 are more suitable for tablets. PPC Mobile advertising have grown significantly in the past five years. This is patly because of the dramatic increase in mobile use by internet users. Google reported in 2015 that mobile search surpase desktop searches made in their search engine. This made Google and other search engines lay more emphases on mobile devices. It presented online advertisers the opportunity to target mobile users and increase their sales and ultimately profits. Because most people carry their mobile devices with them all the time. 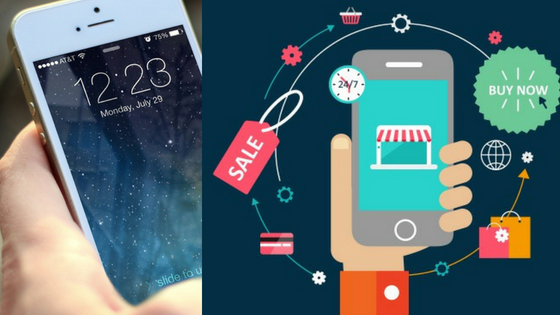 online advertisers has also been doing their best to target mobile users while implementing various mobile Ads targeting strategies. CPC Text advertising has also come a long way making it one of the oldest and the most popular form of PPC online advertising. Text ads are mostly used by Google and other search engines. These text Ads are mostly displayed on top and bottom of google search results. Google also display PPC Text Ads on YouTube and publishers blogs and websites all over. These are pay per click advertising Ad networks such as AdsTargets offering advertisers the opportunities to run their PPC campaigns. Also, there are a lot of advertising agencies which helps small businesses to run, monitor and optimise their PPC or CPC Ad campaigns for a monthly feel. These are all classified as Pay per click advertising agencies. There are numerous benefits brands get from PPC or CPC adverting. Nowadays, most brands have dedicated pay per click budgets and put them to use year round. It is one of the reasons why Google makes over 100 billion dollars why Facebook makes over 40 billion dollars. It increase their online exposure which makes impact on their off-line; exposure as well. We have covered pay per click or as you like cost per click here but will be very happy to know what you think about this online advertising concepts. Suggestions with the most recent updates about PPC or CPC are welcome so we can improve the quality of this post and keep it as fresh as possible. I just answered a question about Interstitial Ads CPM rates on Quora. This is actually an interesting question for me cause I get these types of questions almost every day from publishers willing to monetize their traffic or publishers who have already registered. Similarly, Advertisers are not excluded as many ask the rates on Banner Ads rates, Text Ads rates or as many prefer to refer to PPC Ads rates, CPA Ads rates and many other Ad types. I thought I should clear this issue or rather explain why Interstitial Ads CPM rates and other Ad types are not fixed on the majority of Ad Networks. The fact is, There is no flat rates for PPC, CPA that runs throughout the year for either publishers or advertisers on an Ad Network. Interstitial Ads CPM works just like any other Ad types and several things are considered as I mentioned above. Geographical location where the advertiser chooses plays an important role in the pricing of Interstitials Ads CPM rates. This is because some geographical regions have better CTRs, CPA and conversion rates than others and this is always considered in all Ad types. Another important thing to consider is Advertising cost varies in different countries. Even in the same country, Ad cost differently, for example, In the US, California has one of the highest costs charged for advertising than other states within the country. This goes for Banner Ads, Text Ads, In-App, Interstitial Ads etc. Again, Advertising cost in the US, The UK, Germany cannot be compared to the advertising cost in India, Nigeria and Ghana. Advertisers are willing to pay even more in these high-cost regions because of the benefits that come with advertising in these areas. Just a follow up on the GEOs, income levels in some countries and regions of various countries are different and so as taxes in those GEOs. Ad Networks consider this as a price factor. In turn, publishers are paid higher for clicks, CPA and CPI on traffic in certain regions such as the US, UK, Germany. This same advertising strategy is applied for Banner Ads, Text Ads, Interstitials, In-App ads and other ads as well. The Interstitial Ad display device (Desktop and mobile) also plays a role in Interstitial Ads CPM rates. This again varies across Ad Networks and bidding systems employed by those Ad Networks. Mobile interstitials are more popular and mostly more effective in mobile App Advertising. In many cases, the effectiveness of the display device also influenced the cost of advertising. 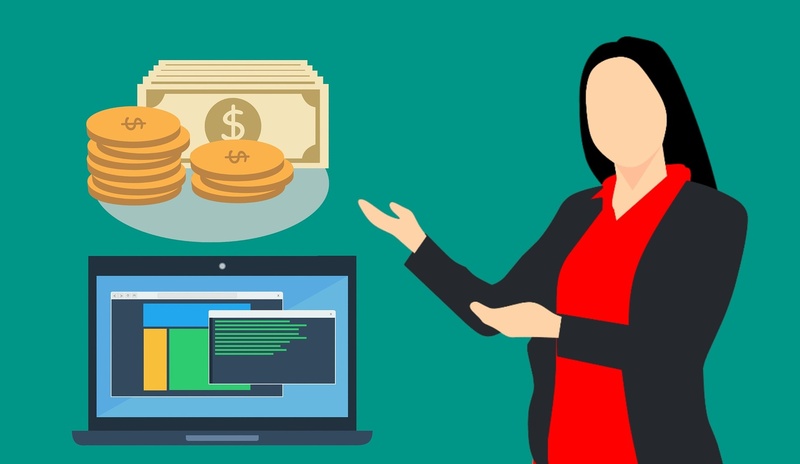 Ad prices change based on the demand on a particular Ad which forces the bidding system to either increase or decreases the prices of ads including Interstitial Ads CPM rates. I could actually go on and on but will leave it here and hope this helps in understanding why CPM rates are not fixed and subject to change always. The cost of advertising is more complicated as many advertisers or publishers expect it to be. 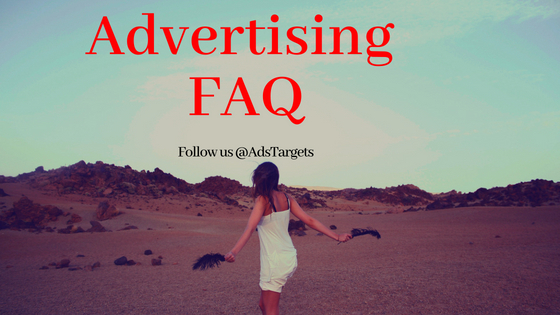 there are many factors that are considered by ad networks or even bloggers or webmasters selling their Ad space. If there are other factors that you consider play a role in the advertising cost that is not covered in this post, please let us know so we can update this post to be more relevant. Online advertising ROI also known as digital marketing ROI is simply the return on investment one is expected to achieve during their advertising campaign or digital marketing activity. It is often measured using several ways and medium. It is confusing to a lot of online advertising especially new advertiser to figure out what their advertising ROI on their PPC advertising. Due to that, you see questions like these “What Ad Network has good ROI? This is a serious question to be considered cause a lot of digital marketers are out there wondering about how to get higher ROI on their Ad campaigns while others think there are specific Ad networks that give higher ROI on Ad campaigns. So… I was thinking it will be better to make one thing clear before jumping in the answer. All most Ad network especially Facebook, Google Ads, Bing Ads, Yahoo Gemini have potentials to deliver good ROI on your Ad campaigns. However, there are certain things you need to do as an advertiser to be able to achieve high ROI on your Ad campaigns. You should never expect to put Ads on any Ad network, sit back and get good ROI. That’s the sad truth about online advertising. 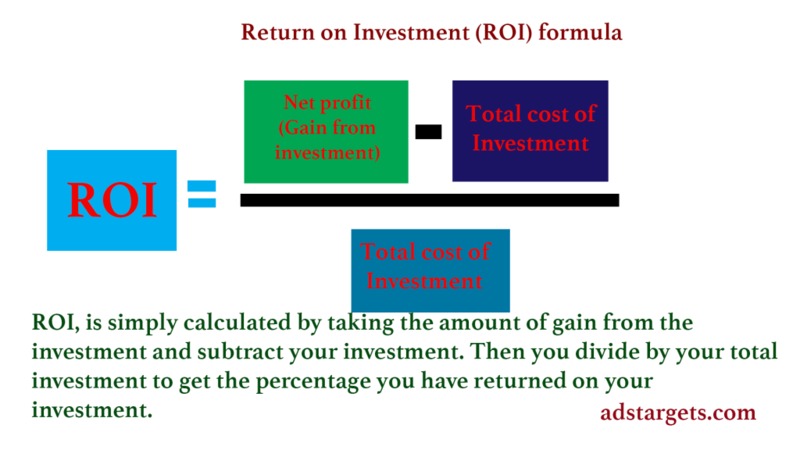 Good ROI comes with certain procedures and tactics which I will lay below. The first thing you need to do as an advertiser is to figure out where your audience is spending most of their time. You can be able to do this by simply looking at how they interact with your content on your social media. 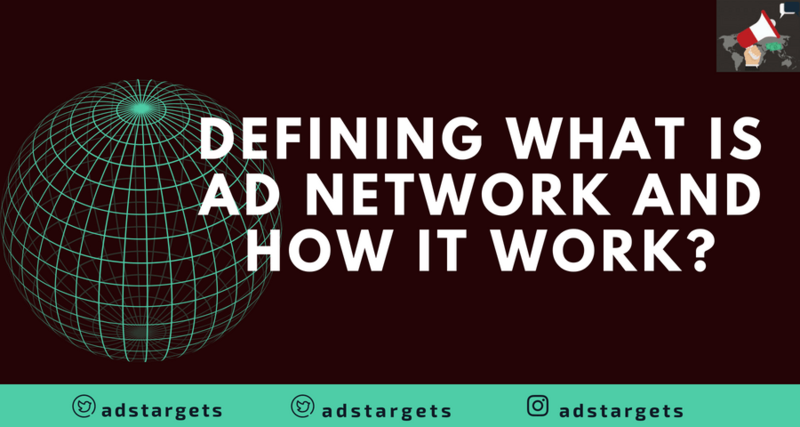 Choosing the right Ad network: Once you are able to determine where your target audience are, it’s time to decide which Ad networks will work best for you. If you are targeting global or national audience, my suggestion will be to use one of the Ad giants such as Facebook or Google Ads. This way you will be able to target a larger audience and achieve a high ROI on your Ad campaign. Now that you have known where your audience is and chosen your desired ad Network, It’s time to target your audience which is one of the most important things for your Ad campaign. You can target your audience based on several criteria such as their interest, industry, age, gender, location and psychographic data about your best customers. These tools give you the opportunities to reach your best audience. Make great use of them. Once your Ad campaign starts going out, You don’t stop there but rather keep evaluating and optimizing your Ads if possible on daily basis, this process involves looking at what is performing the best and focus target those audiences. The example of this may be looking at which age group converts more and in what location, income levels and their industry could be considered also. Looking at these data will allow you to target those audiences more and remove the categories that didn’t perform well. 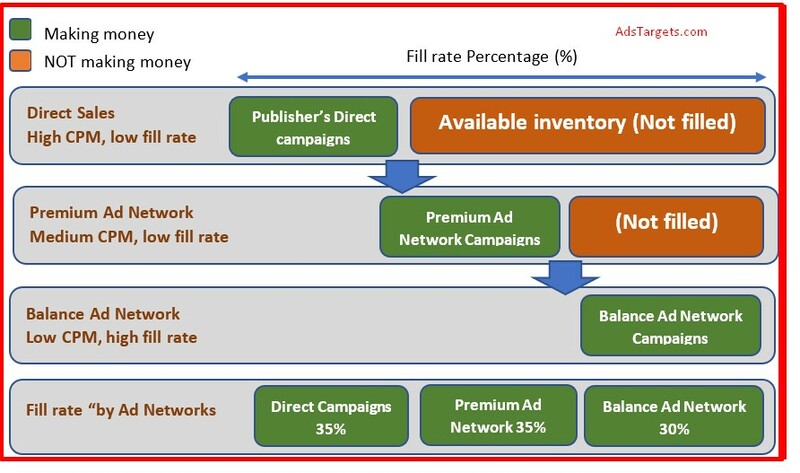 This is how you could achieve high ROI from your online Ad campaign using any Ad Network. Advertising online generally can be tricky but if the right steps are followed, getting higher ROI on advertising is very possible on any of the gain Ad networks. I will like to see your comments in the comment section if you have good experience advertising online. Also, your ideas are very much welcomed to help us improve this piece. 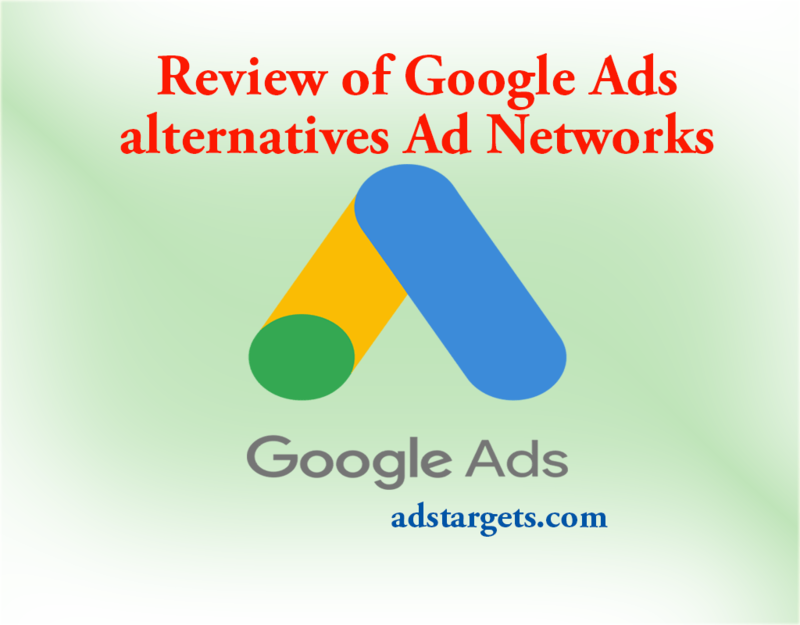 Google Adwords alternatives ad networks are simply Ad networks with similar features as Google Ads. Basically, these Ad networks offer advertisers the online platform or the advertising technology to create and share Ads of various kinds on either their publisher’s networks, search engines or other partner platforms to reach a vast number of internet users or potential customers. 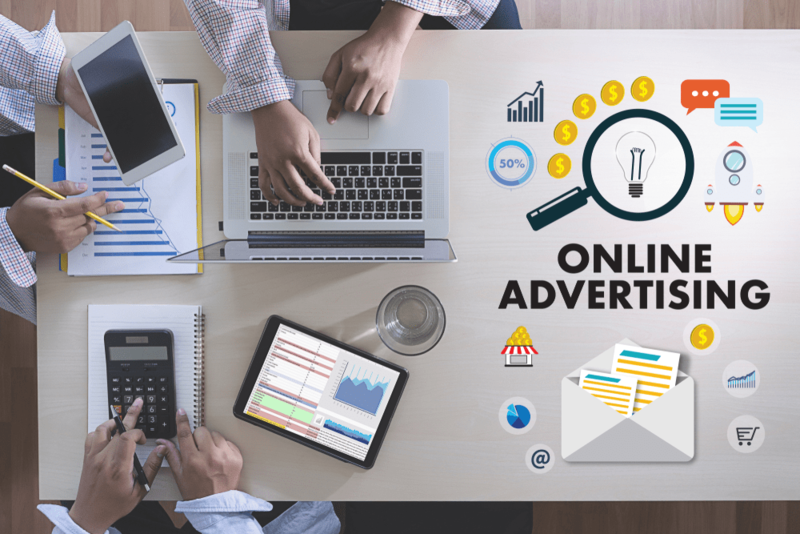 It is important for Advertisers to understand how to exploit the benefits of using Google Ads alternatives Ad networks to achieve their online advertising goals. These other ad networks to a larger extent are cheaper, more niche targeted, less competitive, more flexible and geographically targeted and more effective when compared to Google Ads. 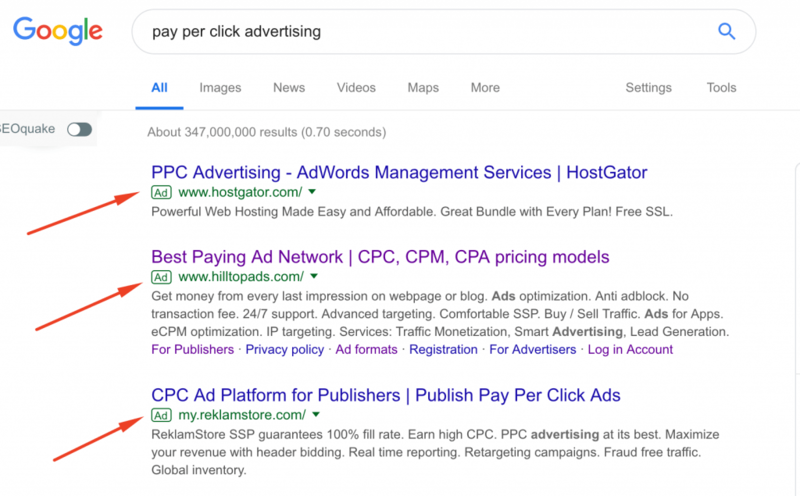 In this post, we focus on Google Adwords alternatives ad networks that all online advertisers should be using to achieve their advertising targets with less cost. But first, lets briefly look at Google Adwords also known as Google Ads. Google Adwords also known as Google Ads has been around for 17 years now. Google Adwords is an online advertising platform designed and managed by Google which offers various advertising solutions to advertisers in various forms. The name has just been changed from Google Adwords to Google Adwords which took effect as of July 24, 2018. It will be fair to say that, Google Adwords has the largest share of internet advertising providing all sought of advertisings to internet marketers on the most popular platforms such as Youtube and DoubleClick all belonging to Google Ads. The platform is the main source of Google revenue over the years, In 2017, Google Adwords brought about 95.4 billion dollars in revenue for Google making it the largest advertising platform on earth. Google Adwords targeting is vast as it covers local Ads, national and international Ads depending on the advertiser’s preference. They recently upgraded their ads format by expanding the Ad features. These advertising formats are displayed on both the Google Display network and the Google Search Network. It allows two headlines with 30 characters each, which replaces the standard of a single headline with 30 characters. The display URL is also replaced with two 15 character paths, not including the root domain. These are the most important features and changes of the new Google Adwords you need to take into account. AdsTargets may sound new to you but you definitely need to know what it has to offer before thinking of the Ad giants. AdsTargets Ad Network offers advertisers across the world the opportunity to take their products and services to the right customers. AdsTargets provide one of the most flexible advertising platforms for advertisers to reach only the right people. 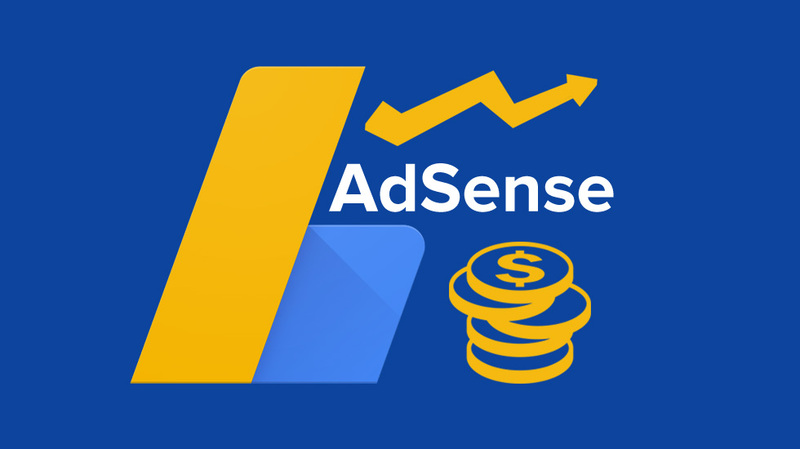 AdsTargets Ads are served to thousands of websites and Blogs just like Google Adsense. The networks offer keywords targeting while the same time their system automatically scales and optimize advertisers Ads to appear only to the right customers. AdsTarget also cares about fraud clicks and has implemented one of the best advertising fraud systems to protect advertisers from losing their Advertising budget. As an online advertiser. 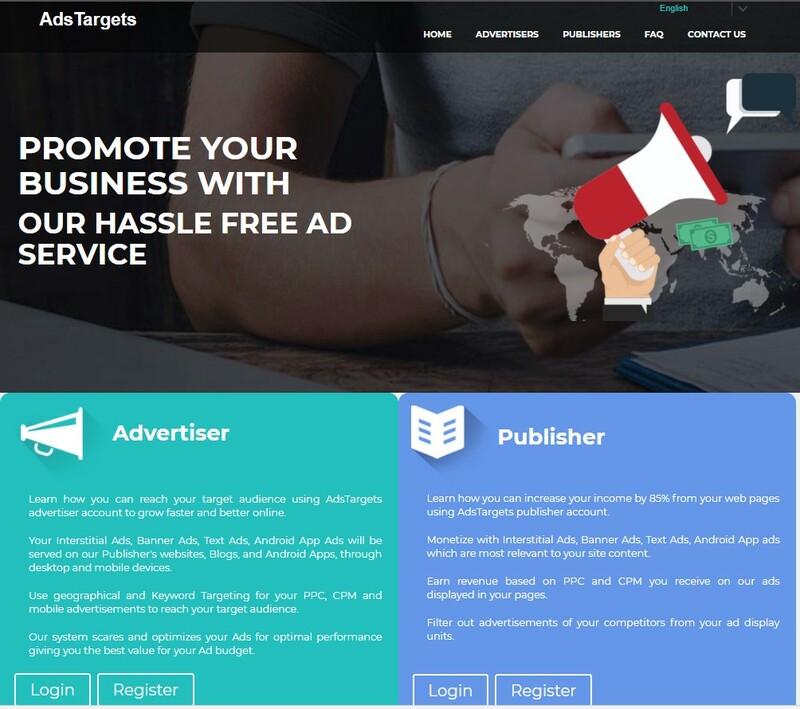 You should jump right now to AdsTargets advertiser’s registration and start showing Banner Ads, Text Ads, Interstitial Ads, In-App Ads to reach your customers with cheap and effective Ads. Start Advertising with AdsTargets Today!! Facebook Ads is no doubt in our review of Google Adwords alternatives Ad Networks the second largest advertising platform online. Facebook the social media giant has grown in size and numbers as it covers almost every part of the world and used by over two billion people. As Facebook grows, It has developed one of the most effective advertising technology that is admired by many advertisers online. Facebook Ads evolved to become its main source of revenue bringing in 40.653 billions of dollars in 2017. Facebook Ads has one of the best trackings and remarketing strategies which allows advertisers to reach their specific target audience by interest, age, gender, location, relationship status, work etc. Unlike Google Ads, Facebook Ads do not use text Ads format but rather use videos, photos which are added to Facebook posts or created in various forms of Facebook advertising like lead generation, conversion Ads etc. Facebook Ads are displed on several Facebook-owned networks such as Instagram, Facebook feeds which shows on all mobile devices and desktop devices. The flexibility and tools that come with Facebook Ads enable advertisers to achieve their goals by setting the duration, preferred daily, monthly budgets, the nature of Ads and also to modify their audience based on their preference. Bing and Yahoo Ads from Microsoft has also occupied a share of the advertising industry over the years. Their growth has been steady and upward which is shown in their increment of advertising revenue year by year. Bing Ads and Yahoo Ads joined forces together to compete more effectively with Google Ads. These two Ad Networks work hand in hand which each other showing Ads on both platforms and their partner networks such as Media.net. Ad advertiser with Bing and easily create and show Ads on Yahoo Ad Networks and vice-versa for Yahoo Ads. Bing Ads is a really good alternative for Google Adwords as it shows Ads for both search engines of Bing and Yahoo. These two Advertising giants are a force for good even though they are not a cheaper alternative to Google Ads but can offer almost all advertising solutions offered by Google Ads. Yahoo Gemini is another powerful advertising giant that combines search and native advertising to boost advertisers advertising experience. Yahoo Gemini offers online advertisers the opportunity to drive traffic to their website, raise brand awareness, promote their Apps, and increase online sales. The Ad network is powered and managed by Yahoo which controls a large share of the search engine and email markets. Yahoo Gemini advertising platform is massive in numbers with over 2 billion Ad impressions per day, 1 billion active users and 165 billion intent signals per day. This is worth trying for an advertiser. Yahoo Gemini also offers advertisers various targeting and advertising options. Yahoo Gemini Ad formats are search ads, Image Ads, Video Ads, App installs Ads, Tumblr-sponsored posts, Native carousel ads and Mail Ads. There is no denying that with over 312 million active users and almost 100 million prime users in the USA, Amazon is the biggest e-retailer worldwide. Amazon net sales in 2017 alone was 177.86 billion dollars making it one of the most valued companies in the world. This is another massive Google Adwords alternatives. However, this works with e-commerce merchants. Probably Amazon product Ads has the biggest share of this market. If you are selling products online, you may want to try Amazone sponsored products Ads to increase your sales. Amazon product Ads gives advertisers the opportunity to set their campaigns using specific keywords to attract a target audience. Those ads are displayed on top of the search results, or within search results and on product detail pages. They also show those Ads on both mobile devices (mobile phones and tablet browsers). To benefit the most from Amazone sponsored Ads, it will be in your best interest to create those Ads within the Amazon seller platform and then setting specific keywords that are most relevant to your products. This practice will drive specific traffic to your products while increasing your sales. LinkedIn Ads is one of the most underutilized and underestimated advertising platforms by online advertisers. LinkedIn has the potentials to take advertisers business to the next level with over 560 million active professionals, you can reach your target audience by their job title, Industry, function, company, and their seniority etc. LinkedIn Ads offers advertisers the opportunities to scare down their targeting and reach specific networks of professionals which helps save advertising cost and increased conversion rates. In addition, LinkedIn Ads offers advertisers the necessary tools to retarget or re-engage website visitors, Contact targeting by emails and account targets with account-based marketing. LinkedIn is a powerful advertising tool advertisers should definitely take into account. With over 560 million active professionals, 73 million senior-level influencers, 45 million decision makers and 8.2 C-level executives, your campaigns will surely reach the right people if your targeting is done right. Why should online advertisers use Google Adwords alternatives? Have a backup in case something goals wrong with Google Ads or your Google Adwords account. All the above-discussed Ad networks have specific tools that work best in their advertising fields. Each of the potentials to reach a specific audience in different niches. It all comes down to the advertiser to research and know their potential customers are spending more time and target them using one of the above Ad Networks. As usual, We would like to hear your opinions, experiences about Google Adwords alternatives. Let us know in the comment section your suggestions on what to improve, remove or Add in the post.